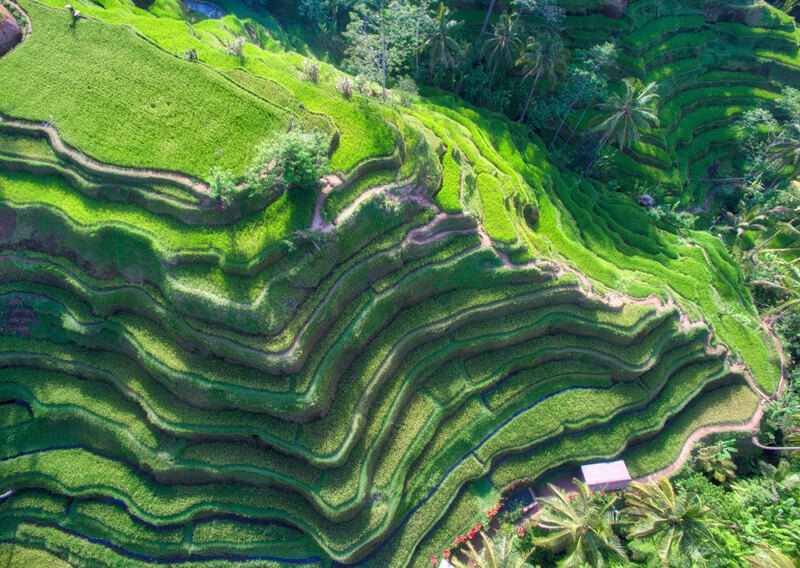 Travel photographer Trey Ratcliff recently captured this stunning view of terraced rice fields in Bali, Indonesia from above. The photo was taken using a camera onboard a DJI Inspire quadcopter. The photo was taken in the rice fields surrounding Mandapa, a Ritz-Carlton Reserve, in Ubud, Bali, Indonesia. If you’re interested in prints of any of Trey’s amazing travel photos, they are available through his SmugMug account.